Mizati came along as a surprise treat, earlier managing to slip under many of our radars. 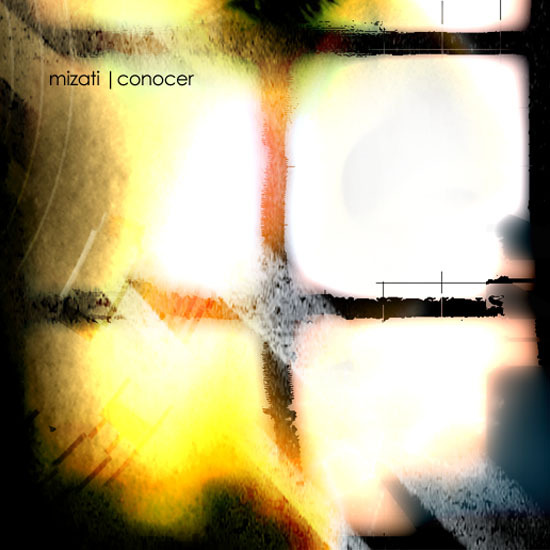 like most of Mizati’s music, these tracks are part of a live recording session and the inspiration of the moment shines through. From the opening track ‘caballo’ to the closing ‘sediento’ Mizati explores a range of styles, but manages to keep it all together. Conocer itself means ‘on the road’. A theme is presented of the old west and the desert, but by no means is the sound slaved to a single interpretation. Gentle and unassuming, this release at times reminds me of updated sounds previously laid by the likes of coil’s ‘the snow ep’ and cabaret voltaire’s ‘plasticity’… and I typically dont like to make comparisons.